98 Glebe Street, Townhead, Glasgow. Glebe Street once housed 7 public houses, this number was greatly reduced when the M8 was being built. Many of the pubs there could have stood today as the ground was not used for anything. The other pubs that were left were demolished to make way for new car parks likes of the Royal Bar and the famous Manx Bar. The Tavern was formerly called Wully's Bar during the 1940s names after the landlord William S MacLean and during the 1950s the pub was known as the Tavern. Mr William S MacLean. 1946. In 1946 Mr MacLean donated a £5 note to the Matron of Eastpark Homes to help her buy some necessary equipment for the children who suffered from all kinds of troubles. He also donated £7 12 shillings to the Royal Infirmary. Since the beginning of that year £20 had been sent of the Royal, the money being raised by collecting boxes, raffles and the proceeds of an outing. Another outing for the customers of Wully's Bar was being arranged for September and any surplus accruing will find its way to charity. 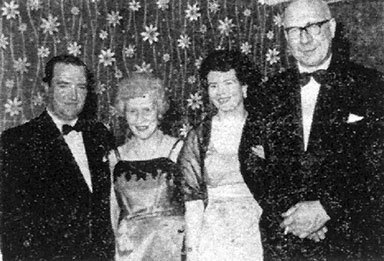 In 1948 Mr MacLean again did charity work for the children of Eastpark Homes, Maryhill when they were entertained by a party on 30th December. The show was compared by Mr McGregor of the Gay Birds Dance Band, who led the children in community singing. Mr D Howat presided at the piano and the Two Mantons supplied accordion music and vocal numbers, various party games also being played. At the close of the proceedings each child received a gift of an apple an orange and a parcel of sweets, the gift of Mr MacLean, who was accompanied by his wife. An interesting feature of the afternoon was the presentation to the Matron of a cheque for £70, money raised by Mr MacLean by means of prize draws for articles gifted by himself. It was explained that the money was to be devoted towards the fund for the purchase of a cinema projector, this to be used for the education and entertainment of the children and for the instruction of the nurses at Eastpark. It was announced that Mr George West, the well-known Scots comedian, was unable to be present, due to there being a matinee performance at the Royal Theatre, Glasgow, but that he had promised to visit the Homes at a later date with his own cinema. £50 was still needed to purchase the cinema. I bet Mr MacLean and his customers raised the rest of the money? The pub was established in the 1870s, one of the early licensee was a lady called Margaret Hudson. James McDaid took over the pub in 1875, Mr McDaid lived nearby at 32 Grafton Street, Townhead for many years. James ran the pub for many years well after the First World War. The name of the pub then was James McDaid with Wines & Spirits at each end of his name. 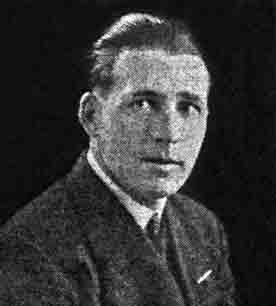 James Grubb then took over the establishment and ran the pub during the 1930s and sold the business to William S MacLean just before World War 2. Many will still remember John Hamilton who ran the pub during the 1950s and 60s, he was the last one to hold the licence when the M8 was being built which resulted in the heart of Townhead being ripped apart. Dinner dance at the Glasgow Vintners' Golf Club. 1958. Left to right Mr & Mrs Edward Hamilton, Tap Bar, Argyle Street, Mr & Mrs H McLaughlan, Central Bar, Prestwick, Mr Paul Kearney, Kearney's Bar, Castle Street, Mr & Mrs John Hamilton, The Tavern, Glebe Street. Left to right Mr P McElholm, Black Bull, Gallowgate, Mr John Hamilton, Tavern Bar, Townhead, Mr M MacLeod, director and president of the Glasgow Vintners, Mr Raymond Strain, secretary of the Glasgow Vintners, Mr Peter McCabe. 1965. Left to right Mr & Mrs J Hamilton, Mrs & Mr J Culligan. 1962. 11-15 Glebe Street, The Manx Bar.